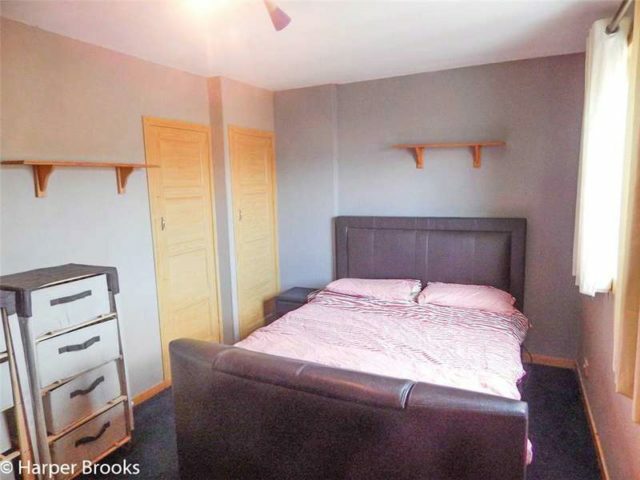 Harper Brooks are pleased to present to the market this two bedroom, end terrace located in the popular city of Aberdeen. To the ground floor is an entrance hallway, spacious living room which benefits from a large UPVC double glazed window, and a well proportioned kitchen that requires renovation to make it the heart of the home. To the first floor are two double bedrooms; both benefitting from fitted wardrobes and a family bathroom. Further benefits include gas central heating and UPVC double glazed windows throughout. There is a small. 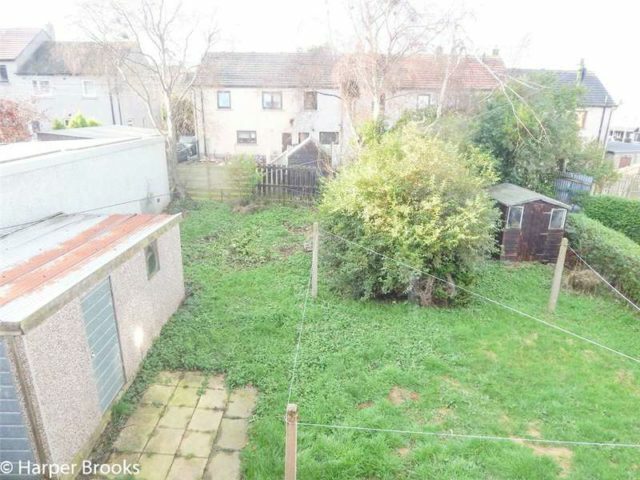 easily maintainable garden and driveway to the front and a shared rear garden with single garage. 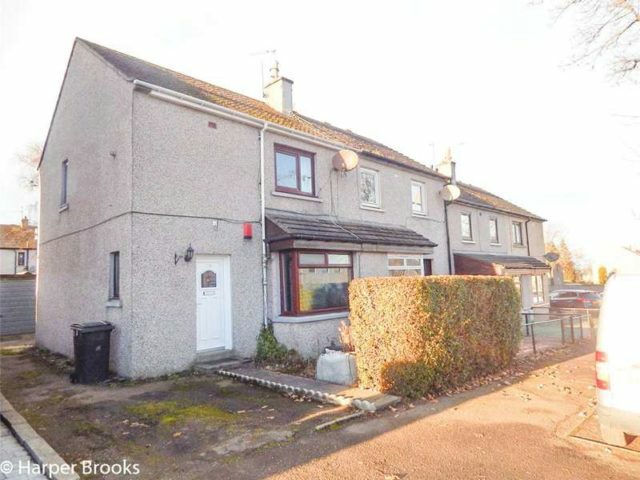 The property is situated in Aberdeen and is close to local amenities which include Tesco and Lidl Supermarkets, Post Office, restaurants, pub and local primary school. Transport links include a local bus service, Aberdeen Train Station and access to the M90 via car. Call Harper Brooks today on 01625 415 200 to arrange your viewing! Lounge 17\‘4\" x 10\‘10\" (5.28m x 3.3m). 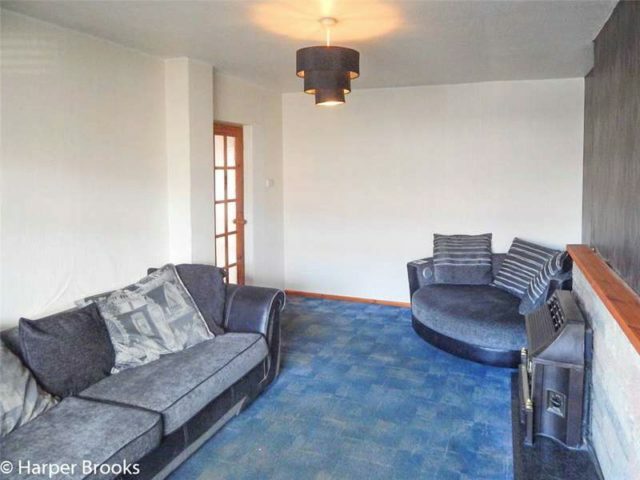 This ample sized living room features a centrally located gas fire with a cladding surround, carpet flooring and a large UPVC double glazed window to the front aspect of the property allowing in natural light. Kitchen 18\‘4\" x 9\‘ (5.59m x 2.74m). Although in need of a cosmetic uplift; the kitchen is a good size and benefits from a range of base and eye level units, sink with draining board and tiled splash back around the work surfaces whilst also plenty offering additional room for a breakfast table. 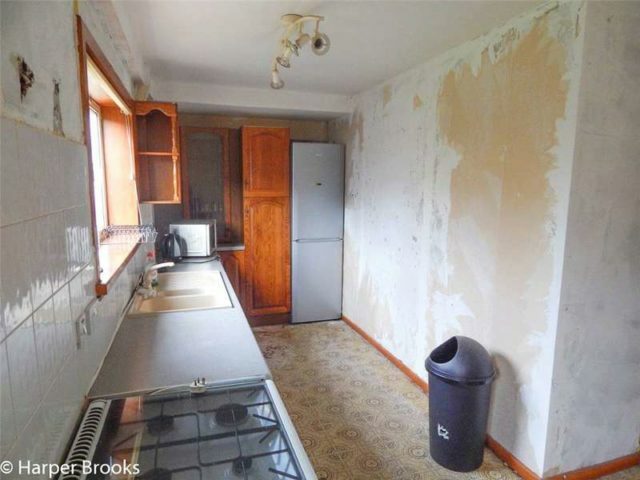 It has lino flooring, a UPVC double glazed window and a door providing direct access to the rear garden. Bedroom One 11\‘3\" x 10\‘ (3.43m x 3.05m). 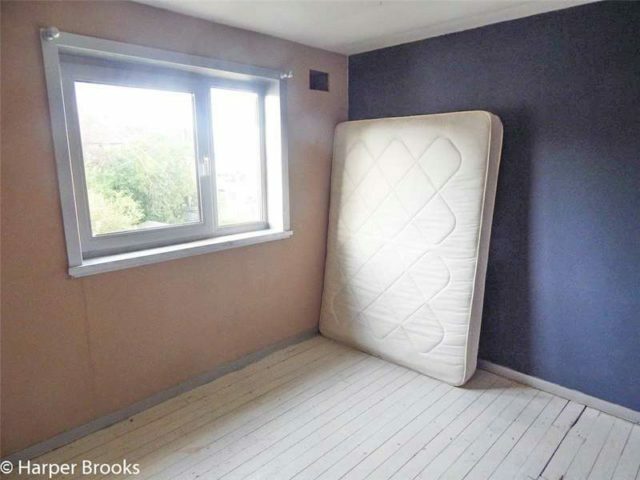 Double bedroom located to the rear of the property. It also benefits from fitted wardrobes and which provides ample space for storage and give this bedroom additional floor space. There is UPVC double glazed window and wooden flooring. Bedroom Two 9\‘7\" x 14\‘7\" (2.92m x 4.45m). Another double bedroom benefitting from fitted wardrobes which in turn makes this room moore spacious. It has carpet flooring and a UPVC double glazed window to the front aspect. Bathroom 6\‘8\" x 5\‘7\" (2.03m x 1.7m). The bathroom features a white three-piece suite which includes WC, hand wash basin and bath tub with overhead electric shower. It benefits from a UPVC double glazed frosted window, tiled flooring and part tiled walls. 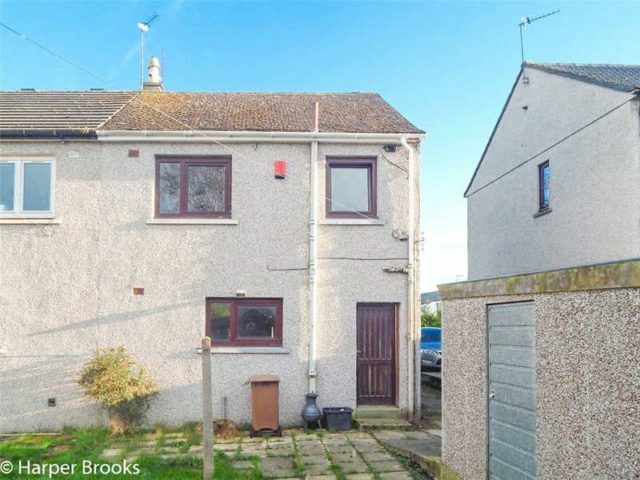 Front external To the front of the property is a small easily maintainable garden and driveway which leads down the side where the garage is situated. Rear External To the rear of the property is the single garage which provides futher off-street parking and communal garden that features both paved and grassy areas. Get personalised end of terrace listings that meet your exact requirements. Please fill in the form below so we can show you customised end of terrace listings according to your specific needs and local area.